The City of Ottawa and local housing advocates hope a new, national housing strategy will help address an urgent need to provide affordable options for people who find themselves homeless. The federal government, led by the Canada Mortgage and Housing Corporation, spent several months asking Canadians what they would like to see in such a strategy. On Tuesday, Nov. 22 — National Housing Day — MP Jean-Yves Duclos will share what the government heard. In the City of Ottawa's submission to the federal government, staff described a "housing affordability crisis" that sees people on low incomes having to choose whether to pay bills, buy groceries or pay rent. "With over 6,800 residents who experienced homelessness last year, more than 10,000 households on our wait list for affordable housing and a $22 million annual deficit for repairs to social housing, a national action plan that will support our local initiatives to address housing and homelessness issues is urgently needed," staff wrote in October. The city asked the government for enough funding to keep up with social housing repairs in the long term, something that has been a struggle for municipalities in Ontario — the only province where the responsibility for housing was downloaded to cities. 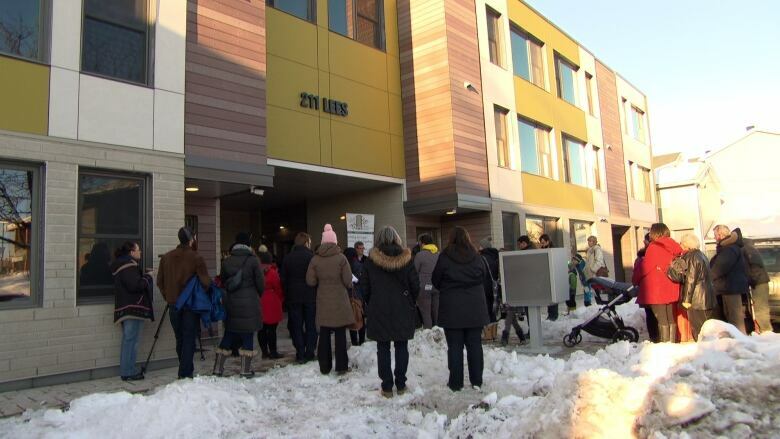 Ottawa staff also argued offering social supports to help people stay housed costs less than paying for shelter visits, and suggested the government offer tax incentives to developers so they will build more rental housing. With about two-thirds of the city's 22,500 social housing units, Ottawa Community Housing is by far the city's biggest landlord. In a bid to deal with the persistent lack of funding for repairs, the city has decided to no longer throw good money after bad, aging buildings, said board chair Coun. Mathieu Fleury. "At OCH we don't want to drop the amount of units we have overall, but we accept that at any given time we might have to sell properties, we might have to demolish, we might have to purchase land elsewhere," said Fleury. Under this approach, the housing agency has managed to build some new, modern-day units. Ottawa is a leader in this kind of thinking, said Fleury, and he wants a national housing strategy to also think about which units deserve renovations. "But I'm concerned that they're just going to blanket and sprinkle money into repairs," he said. Mike Bulthuis of the Alliance to End Homelessness in Ottawa also wants the federal government to offer options, such as portable housing allowances, to help the many types of people who find themselves homeless. The city is seeing more families, youth and Indigenous Canadians having to room with friends or turning to shelters, he said. Bulthuis said Canada is the only G8 country without a national housing strategy, and he and others have been pushing for one since the early 1990s, when the federal government cut back on its support for social housing. "A commitment to take action based on twenty years of, certainly, insufficient action," Bulthuis said.